What does the big photo on the Home page show? 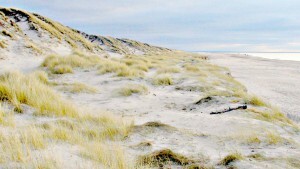 – The photo shows a beach where new dunes have developed in front of the old dune. This is a phenomenon that had never been observed on the location before. However, 8 years earlier PEMs had been installed in the beach and they are still operating. The extra sand has resulted in a new dune, higher and wider old dunes and much better protection of the hinterland. EcoBooster is the new generation of PEM that works even more effectively by promoting an intelligent valve system that integrates PEM’s de-watering capabilities more efficiently with greater beach resiliency to erosion. PEM EcoBooster has other benefits ensuring a firmer near-shore sea floor that reduce erosion and offer reduced maintenance costs. More to come soon on the patent-pending PEM EcoBooster. What is PEM and how do they work? – The PEM modules are hollow tubes made from high-density polyethylene, with tiny slits along the sides and a vent in the top and closed at the bottom. 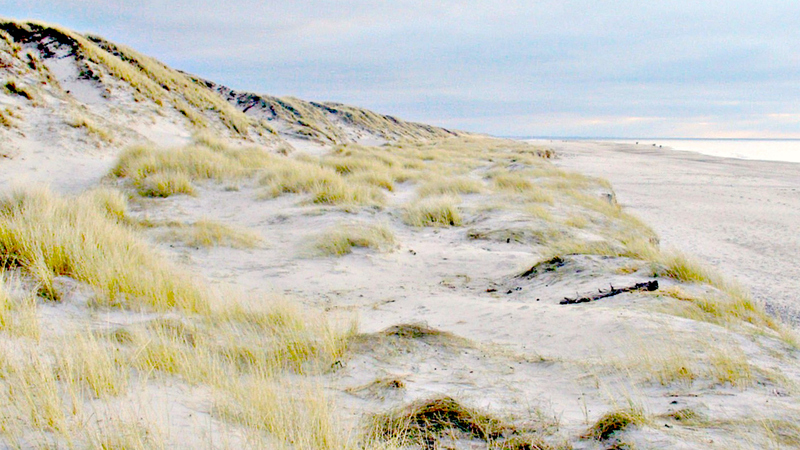 When installed vertically in a beach from the dune to the mean low waterline they connect the many layers in the beach. The water can enter from all layers and you have a vertical column of water sitting in the beach. During falling tide, the water in PEM will exit via the layer with the least resistance, typically a coarser layer. The vent in the top of the PEM allows air to enter, replacing the water that exits the beach, thereby equalizing the pressure (vacuum). Why is it important that the water drains effectively from the beach? – On a typical beach, the water does not escape from the beach as fast as the sea sinks during the falling tide. When the waves swash up on the wet beach they can’t sink in, and the sand they contain flows back to sea. With PEMs installed the water drains effectively from the beach, and the waves sink in and deposit their sand. As the sand dries it blows to the back beach and dunes. Falling tide happens for 6 hours twice a day. If you are able to turn some of the erosional time to accreting or neutral time, by optimizing the beach’s ability to drain you have made a big change to the overall sand balance. Who besides EcoShore describes groundwater level and erosion? There has to be a tide variation, but PEM has worked fine where the tide was 1 foot, but will not work in a lake. The layer of sand where PEM shall be installed shall have a certain depth. 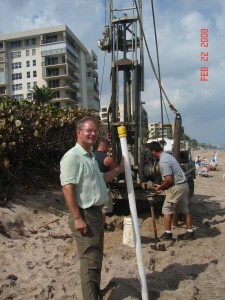 Optimally the sand layer on the beach should be 8 ft or more, however at Hillsboro Beach, FL the sand layer was less than 4 ft at some of the installation points, and over 50% of the PEMs had to be shortened. This may have contributed to the longer than normal time to show results. Sand has to be available in littoral drift. If sand lacks, PEM can be combined with beach nourishment and will protect the placed sand. Finally, where you have no erosion or even accretion PEM rarely gains more sand. To find out if PEM will work at a given location EcoShore and its partners have developed a Pilot Study. The study takes a few weeks and mimics a real PEM installation and is supervised by US professors. Will the installation be visible? – The entire PEM installation is invisible to the naked eye. Fig. 2 The drilling team gets ready to install a PEM. Note the unaffected beach guests in the background. How are PEMs installed and how many people to do it? – We use an earth drill on tracks or water jetting. The crew consists of the drilling team, surveyors with high precision GPS equipment and supervisors. This totals 5-7 people and a machine at the size of a small truck. How many PEMs are installed on a beach? – The installation is tailored to the local conditions. A typical grid may have a PEM every 20-30 ft from the dune to the low waterline and 15-30 rows per mile of beach. – This depends on the number of PEMs, what the beach’s layers consist of (sand/gravel=easy, stones/shells=hard) but 3 miles of beach typically takes 3-4 weeks to complete. Can people use the beach during installation? – Yes. Only a small area is defined Work Area. – During and after a storm more sediment is suspended in the water. This is great for PEM as the waves that swash up on the beach will carry more sand. As a result, a beach with PEM will recover much faster than a beach without PEM. What if PEMs get exposed? – The PEM will be repositioned by EcoShore’s local team. What if PEMs are exposed and pulled up by beach visitors? – It is not easy to pull a PEM, you need equipment. The system is robust and not dependent on all PEMs to be operating. If exposed, can anyone hurt themselves on a PEM? – The top of the PEM is soft. The material that PEM is made from -HDPE – is not degrading and almost impossible to break, and if it does, it will not create sharp edges. So far we have had zero incidents. Will PEM work from the start? – The PEM system operates when it is installed. At the start, the accumulated excess groundwater may result in a high water flow to the PEM at MLW, which is under water. In the rare case a fountain of water can be seen at the PEM in the waterline. During this initial period of a few weeks/months, the beach may fluctuate and a few PEMs become visible until it reaches its new balance. Compare it to detox – you don’t look pretty the first days – but you will later. If you get the latest version “PEM EcoBooster” the above problems are eliminated and the system will work optimally from the start. How long before a clear effect can be seen? – Typically an effect is seen in 6-9 months but can take up to 18 months, which was the case in Hillsboro Beach, FL, where more than half the PEMs were shortened because the layer of sand was very thin. Does it keep working when covered with more sand? – Yes. The sand that is added to the beach is above the groundwater level and is permeable, so the air vent still works. – No effects on turtle nesting. Because PEM creates no scarps it is easy for the turtles to access the beach, which may be why the zone with PEM had the highest number of Green Turtle nests in Broward County. If a turtle should dig deep and hit a PEM it is soft at the top. Check under “Environment” where you will find more information and a Turtle report from Nova Southeastern University, Florida. Can you install during the nesting season? – Yes, it is possible to install during nesting season. Provided the nests are marked they can be worked around. The exact location of the PEMs row and each PEM can be adjusted on location, to take into account any nests on the beach. – EcoShore Int’l, Inc. is a fully licensed Coastal Engineering Company established in 2004. Can you name any other companies that has a PEM license? – Royal BAM Group with 25,000 employees and a turnover of $10 billion a year is a licensee. BAM builds bridges, harbors, the NATO HQ as well as beaches. They know the PEM technology from a 7 mile 4-year PEM project in the Netherlands. BAM recently offered a 70 miles PEM project on a 5-year lease to the Danish Government. Another licensee is the stock listed Asian company MRCB which completed a project in Malaysia, combining PEM with beach nourishment. How many PEM projects world-wide? – The total number is more than 30 projects in Europe, Africa, North and South America, and Asia. Who does EcoShore work with? – We always work with your local Consulting Engineer and/or Technical Dept. We chose partners that are local to the site in question. If we are active in Long Island, NY we find a partner (contractor, driller, surveyor, bird watcher, etc) that is familiar with Long Island. We encourage you to involve your local University, and they may also have students that can participate in a Pilot Study or surveys. Is there a max or minimum project size? -No max length. The largest project offered covered 70 miles of beach to be leased for 5 years. The longer the project the less the “edge-effect” will influence the overall result, which is why we seldom do traditional PEM projects less than ½ mile and never split projects (300ft with PEM / 300 without /300 with PEM etc). With the development of the PEM EcoBooster, we now have a technology that can be applied to long AND short beaches and even can be used on single lots. What is the cost to lease PEM? – The cost will vary with the specific conditions such as the length of the beach, width, contract period, etc. However, PEM is very cost-effective. Compared to the cost of beach nourishment we have never reached the 50% mark, which means that the cost to the client has been less than half the price of traditional beach nourishment. What happens when the beach grows – do you add more PEMs? -Yes. As part of the lease agreement, we will add more PEMs where the beach has widened to strengthen it even further. In a standard contract, this does not cost extra. How much can a beach be grown? -This is individual. If there is a lot of sand in littoral drift, large waves, high tides (which means that every wave is loaded with sand) and a poor draining beach, then PEM can make a significant difference in a few months. However, we can only make the beach drain optimally and PEM can’t be used to reclaim land. Can you provide a combination of PEM and beach nourishment? -Yes. This is a smart way to ensure a rapid result (via nourishment) and a long-lasting beach (via PEM). The method also has the advantage that the necessary volume of sand is smaller than traditional nourishment because the beach is not “oversupplied” with sand. What are the steps in a combination of PEM and beach nourishment? – The first step is to install PEM. The second step is to add sand and let it equilibrate. The third step is to add a second set of PEM, that reaches further out. This method was used at Teluk Chempedak in Malaysia. See here. Feel free to send us more questions and we will see that they are answered and added here.